Tommy Joe Martins & longtime partner Diamond Gusset Jeans are pairing back up for the NASCAR Xfinity Series race at Atlanta Motor Speedway, the Rinnai 250. It will be the first sponsorship for Diamond Gusset Jeans in NASCAR since Martins began driving for his current team, BJ McLeod Motorsports. 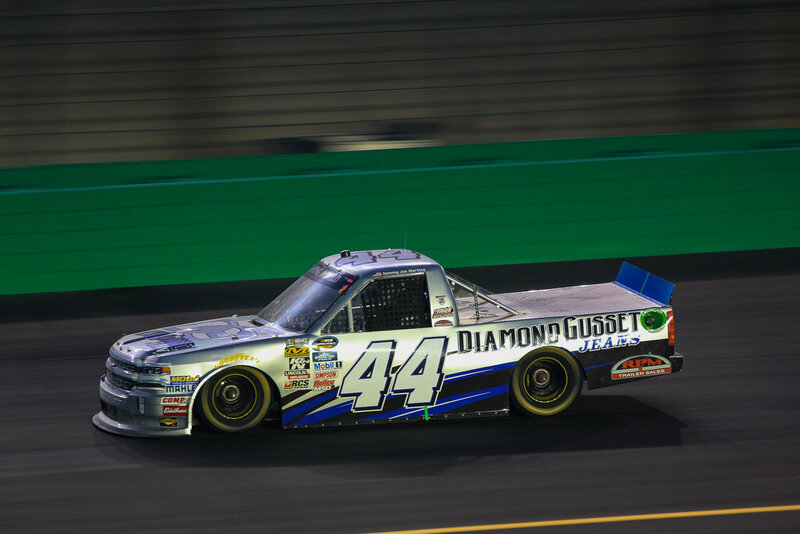 Diamond Gusset has sponsored Martins since 2014, during his family team’s first run in the NASCAR Xfinity Series. They more famously came aboard during Martins Motorsports tumultuous 2016 campaign in the NASCAR Truck Series. Since that season, the 32-year-old Como, MS native has garnered a reputation for being a vocal underdog at the highest levels of the sport, but as 2018 proved, NASCAR sponsorship is a tough thing to come by. BJ McLeod Motorsports announced last week that Vinnie Miller & Matt Mills will be full time drivers for the team, while Martins will retain a partial season ride in the new, full time, 99 car. When asked about the plans for the year, Martins couldn’t help but reminisce. Diamond Gusset Jean, Co. is an American made clothing company based in Bon Aqua, Tennessee. Diamond Gusset was founded in 1987 to develop an entirely new jean concept utilizing a gusset for extra durability and enhanced comfort. All Diamond Gusset products are truly American made on the foundations of comfort, craftsmanship, & continual improvement. More information about Diamond Gusset products, as well as sales & pricing can be found at gusset.com.